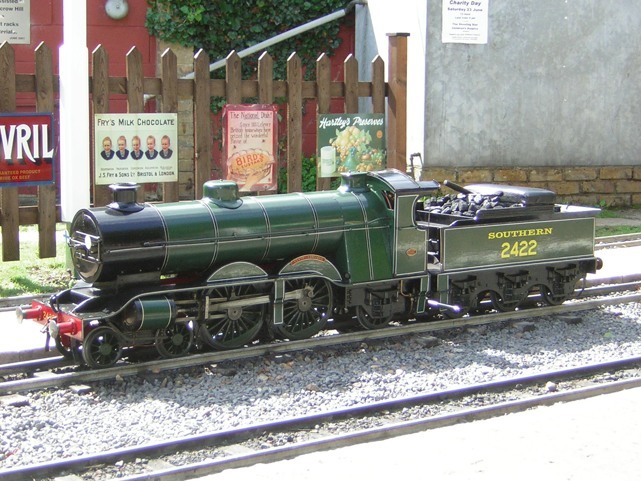 The GCR has its origins in 1946 when John Samuel began building a 7¼” gauge railway in the garden of his home, “Greywood”, on the Burwood Park Estate at Walton-on-Thames. Over the next fifteen years a small group of volunteers assisted him in extending and working the “Greywood Central Railway”, which steadily grew from its small beginnings until a run of some ¾ mile was possible. In that time the GCR gained a reputation as one of the finest and most complete railways of its kind in the country. Mr Samuel’s untimely death in 1962 threw the line’s future into doubt but a successful approach to the publisher Ian Allan confirmed the GCR would continue to exist under a new name on the present, much larger, former piggery site at Chertsey. Construction began in mid-1965 but, due to the sloping, boggy and uneven nature of the site, the first piece of the railway, between Hardwick Central and Phillips Bridge, did not open until 14th September 1968. 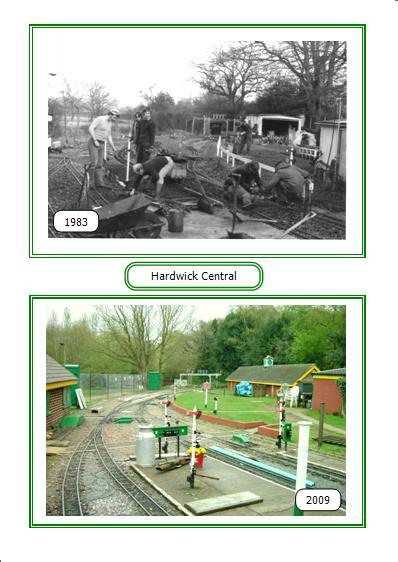 Within a year, however, the original ‘Circuit’ from Hardwick to Everglades Junction and back had been completed. Doubling of most of the line was undertaken in the early years together with some subsequent alterations and additions to the original layout as experience of operation grew and as rising passenger numbers made it necessary to increase line capacity. Following purchase of additional land the branch from Everglades Junction to Cockcrow Hill opened in 1979, the return line via Greywood Tunnel coming into operation five years later. Other subsequent extensions took the Jubilee Line (opened 1997) round the lower car park and the Millennium Line, opened in 2000, extended the branch to form a 360 yard long loop below Cockcrow Hill. 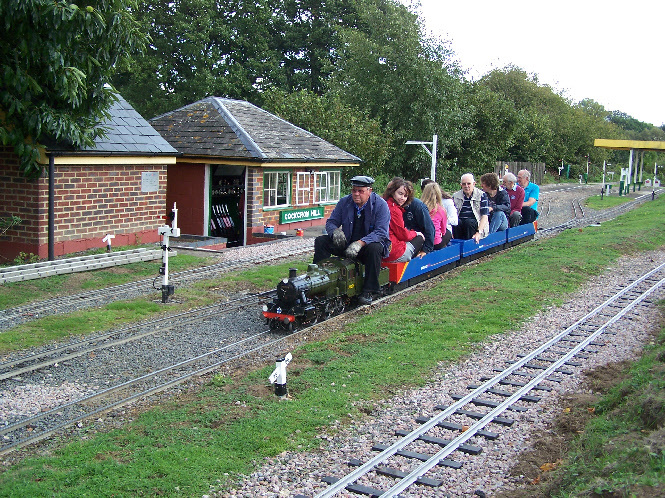 Alongside the extensions to the track layout, many other improvements have been made to other aspects of the railway. Signals and points have gone from being mechanically-operated to fully electrically-controlled from three signal boxes. Engine and carriage sheds, and a fully-equipped workshop have been added and, most recently, our new station building has been completed to replace the previous collection of sheds and portacabins. We now have an extensive fleet of between 25 and 30 steam locomotives, representing a cross-section of the main UK railway companies, and some of which are veterans of the original Greywood Central. A small but increasing number of diesel and electric locomotives can also be seen joining in from time to time.